This year we hit the five year mark as an organization. These years have been full of leadership development, growth, struggle, community building, and dozens of interventions that have activated hundreds of young people from across the state. The past 5 years have been incredible and we want to raise the stakes for what’s possible in the next 5 years. 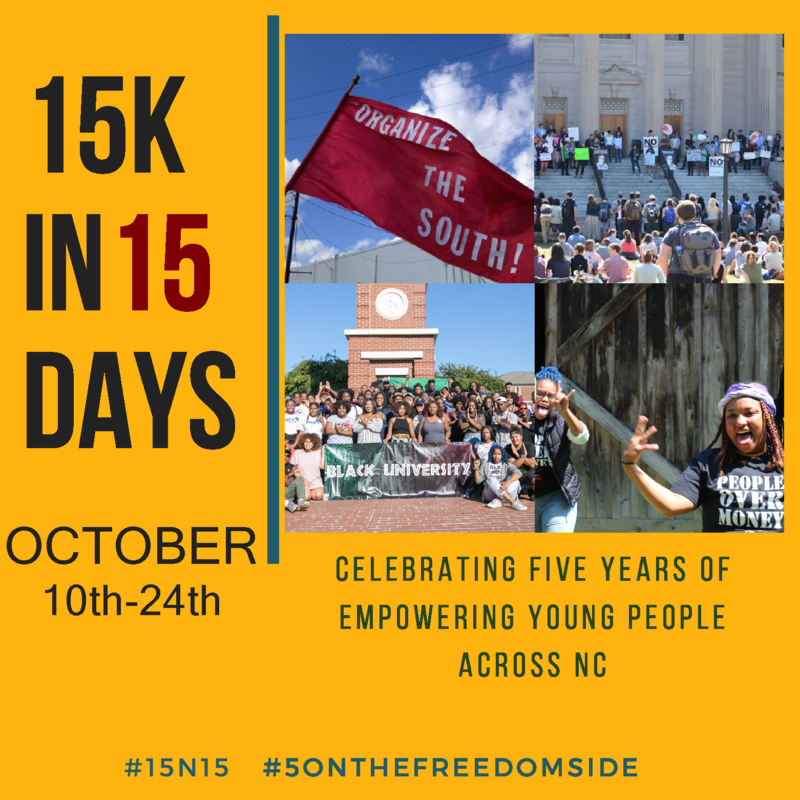 By reaching our goal of 15k in 15 Days we’ll be able to cover 6% of our budget and stipend 30 fellows for a semester! Since 2013 Ignite NC has trained over 300 fellows to take action and be the leaders to bring about a new vision for our state. A vision that prioritizes the needs of people over profit. 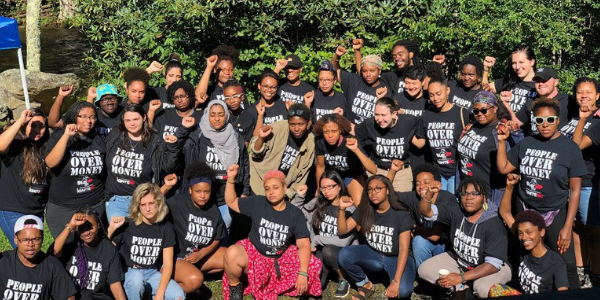 None of this is possible without the support of local communities and individuals offering what they have in order to further youth centered movement building. Regardless of how much you have no amount is too small. Whether it’s $1 or $1,000 every donation makes an impact. Fellows that complete a semester of Ignite NC receive a $500 stipend as a way to honor their work and what they bring to their communities.